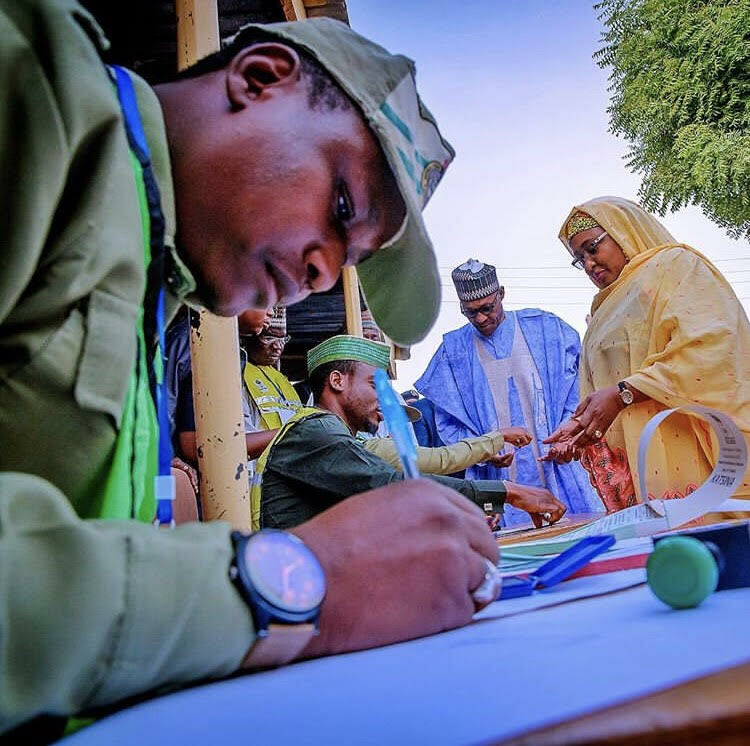 President Muhammadu Buhari and his wife, Aisha, on Saturday, joined hundreds of another electorate to exercise their franchise at the polling unit 003 Kofar Baru III, Gidan Niyam, Daura, Katsina State. On Saturday, March 9, 2019, Nigerians will go to the poll, to vote in the governorship elections. The election will hold in 29 out of the 36 states in the country. Some of the standout battles include Lagos [Babajide Sanwo-Olu of the All Progressive Congress (APC) vs Jimi Agbaje of the Peoples Democratic Party (PDP)]; Benue [Governor Samuel Ortom (PDP) vs Emmanuel Jime (APC)]; Kwara [Abdulrahman Abdulrazaq (APC) vs Abdulrazaq Atunwa (PDP)]; Abia [Okezie Ikpeazu (PDP) vs Alex Otti (APGA)]; amongst others. Also, on the same day, about 14,000 candidates will vie for 991 State House of Assembly seats. NIYI DARAM brings you the live update of events as they unfold across the country.